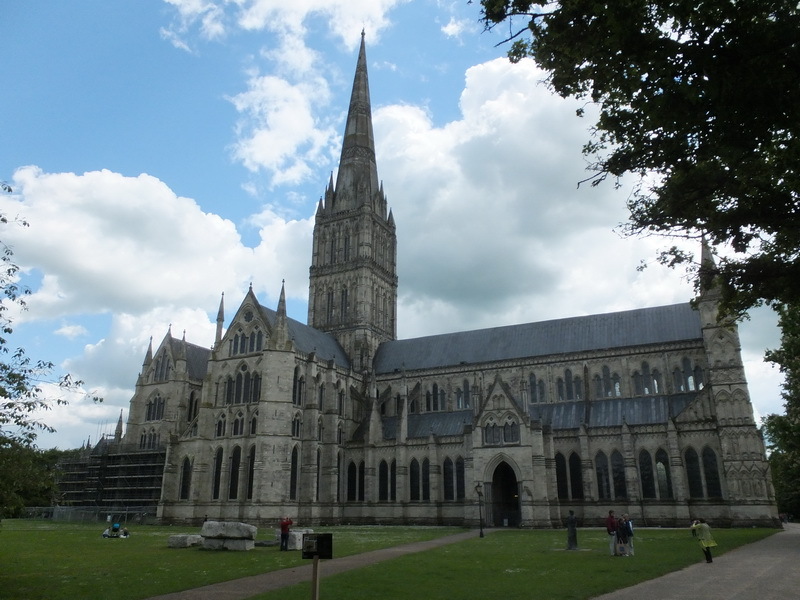 The Salisbury Cathedral is an Anglican cathedral and bishop’s see. 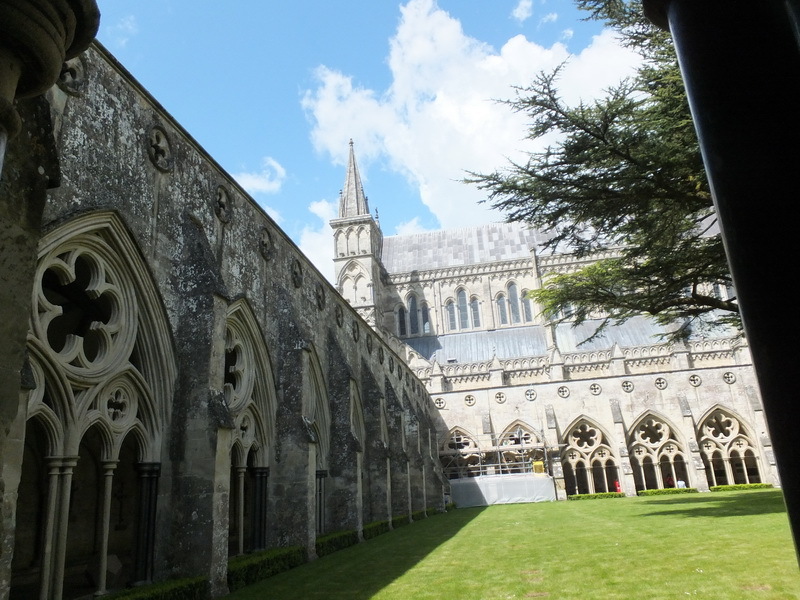 Of course, we wanted to visit it too on our trip to Salisbury. The building was constructed in a very short time in the early English Gothic style. This shows in the typically three-aisled galleried basilica with its two transepts. 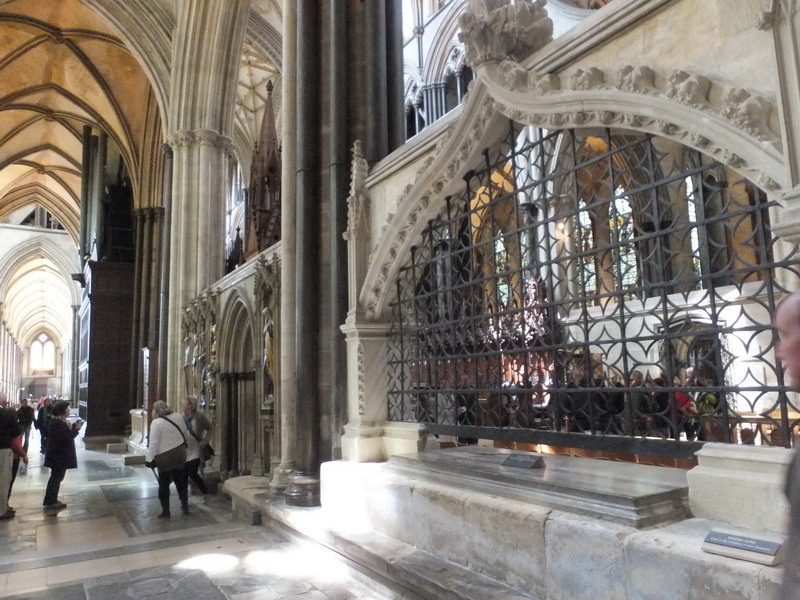 Also very characteristic of this style is the rectangular layout and the elongated nave of the Salisbury Cathedral. The cathedral library was built at the east side of the cloister in 1445. One of the four remaining handwritten copies of the Magna Carta is kept here. Admission to the cathedral is free, but a donation to contribute to the preservation of the building is recommended. Taking pictures of the interior is permitted. We went inside and were immediately welcomed by a volunteer. He was delighted to have a conversation in German and told us many stories about the building but also about his experiences in Germany. Many of the fine details in this giant building we would not have discovered without his explanations. Admission is also free to the rooms where the Magna Carta is kept, but here taking pictures is prohibited. Here, too, volunteers explain what is special about this document. Also the outside of the cathedral is worth a closer look. Take your time and try to spot the many details on the façade.